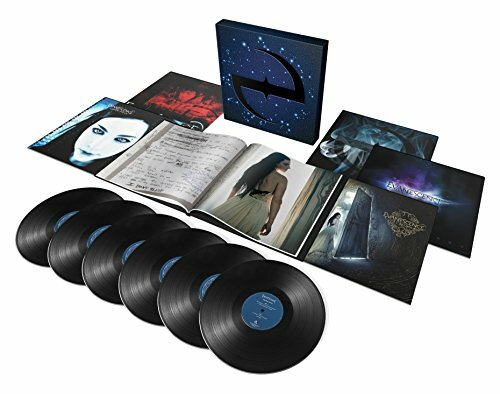 An interesting and very welcome development for fans of Evanescence is the upcoming 6 LP box set due via Universal / Concord on December 9th. Alongside their three studio albums the set includes the 'Origin' demo album plus 'Lost Whispers' a collection of hard to find b-sides and 'Even In Death' a new 2016 recording. Track listing etc follows. Universal via Concord are pleased to announce Evanescence’s first ever career spanning vinyl box set encompassing their studio albums, Fallen, The Open Door and Evanescence and for the first time ever, the commercial debut for the previously unreleased demo album Origin. The bonus LP, Lost Whispers,collects all the official b-sides and features the studio version of the sought after tour intro 'Lost Whispers' and the first new Evanescence studio recording in years, 'Even In Death (2016)' - release date for single TBC. Evanescence is a two-time Grammy-winning band fronted by one of the most dynamic women in rock, singer/pianist Amy Lee. Evanescence’s debut album Fallen would ultimately go on to sell 17 million albums worldwide. Two consecutive #1 album debuts followed — The Open Door and the self-titled Evanescence — as well as the multi-platinum live album Anywhere But Home, recorded in Paris during one of their sold-out worldwide tours.